Before the beginning of any business it is always advisable for both parties to recognise about each other’s attributes. At King Essay it is our strong belief that every customer has the right of knowledge related to their project. King Essay is writing service provider established in 2011. King Essay’s aim is to help students to achieve their academic goals in a more excellent manner. We belief that this initiation will help to create a more meaningful society of literate citizens. King Essay has a team of experienced, qualified and eloquent writers. We understand that achieving good grades is important and a crucial concern for all students. We also understand that as well as getting grades, being able to retain perfect knowledge in the project is also necessary. Our authors provide incomparable research, which is easy to understand. Simple and specific vocabulary usage makes our work more recognisable. Since we have such a qualified staff, it is easy for them to understand the prerequisites and demands of each project. Also our team punctually deliver work which is productive and yields a good evaluation. Our writers go through a rigorous selection process. Each academic writer has to pass a written examination, to be selected to work for our team. To initially qualify for the written test each writer must be at least a master’s or PhD. All the qualifications and positions are based on merit and each qualification should be from recognised universities with corresponding certifications. If a candidate is qualified but lacks experience, they will not be selected to sit for the written test. Candidates without experience are not allowed to sit for the written exam. To meet the selection criteria for the written exam, writers must have at least 3 years of experience and a qualification from recognised universities. All the writers that finally clear the written exam are welcome aboard. Each coursework or dissertation writer is then assigned to their specific department based on their qualifications and experience. This way students can rest assured that when a task is assigned to a writer that they will receive quality work. 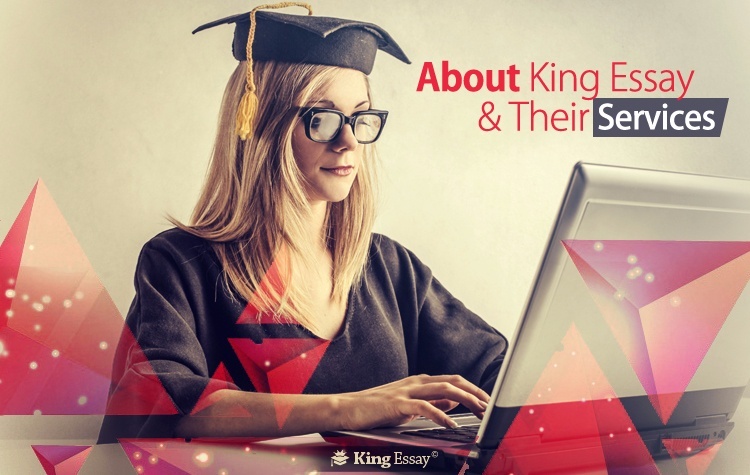 King Essay provides the best quality services to each client regardless of the size of their order. We understand that more than 60% of the clients will decide to continue with our assistance only after having completed their initial order. We empathise with students who want to build a long term relationship based on trust, confidence and high quality work. This is the reason why each and every order received at King Essay is completed on a priority basis with a guarantee for punctuality. Most of our clients come back to place a second order, after having received 24/7 customer support and guaranteed zero plagiarism work as a standard facility. We believe that each client demands respect and full attention to each and every customer later becomes the source of our firm’s success. Guaranteed punctual delivery within or on the designated deadline. High quality content from experienced professionals. Unique research work included with appropriate references. Plagiarism free work with superlative ideas and content. Contents with no spelling or grammar mistakes. 24/7 customer support to ensure a prompt response and a call to action. Guaranteed customer satisfaction with free unlimited revisions. Competitive prices in addition to discounted offers. Free composition of references & title page. We aim not only to help students in their time of need but also strive to help them achieve merit amongst their peers, friends, colleagues and relatives.